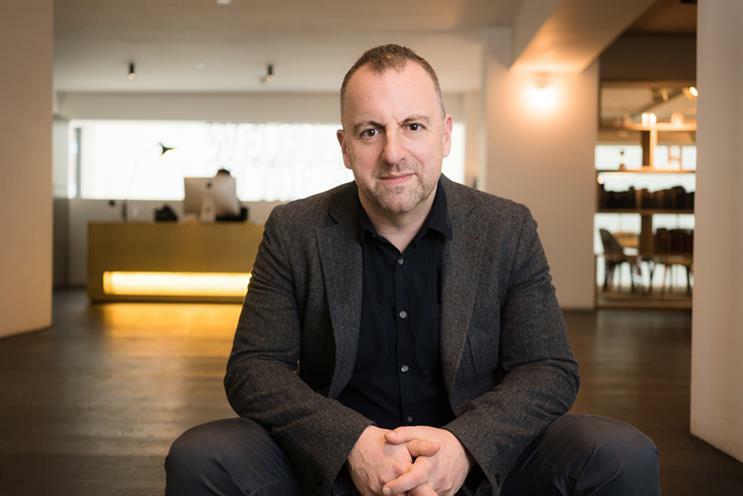 We follow Marc Nohr, chief executive at Fold7 while he joins the IPA to discuss the impact of Brexit on advertising, sits in on a planning meeting for Carlsberg and teaches his children to cook burgers. It’s the Jewish New Year, so I take my family to Synagogue and then host friends for lunch. It’s always a bit odd to see regular London going about its business when Jewish London hunkers down for these autumn days. But kind of nice too. My daily morning ritual kicks in: wake up to the Today programme and straight to my home gym. Today yoga, with the Mrs. It’s the one form of exercise we both agree on. Jump on the train and read half a Harvard Business Review article. It’s an early start today to film a new AAR reel for the agency. This requires a couple of coffees and a few takes to get into my stride. But the director is personable, has a good interview technique and we get there in the end…90 minutes fly by. Lunch is in the office with an old confidante. We discuss an opportunity to do a joint venture in a new market. I throw a few provocations his way and he throws a few back my way. As a form of problem solving this Socratic dialogue probably explains why creative teams still form pairs – and by the end of an hour we have a sense of how to proceed. In the afternoon I go across to the IPA at the invitation of director general Paul Bainsfair to join some other agency leaders to discuss the impact of Brexit on advertising. As a Remainer it’s interesting to now problem-solve around the reality of exit and to try to make the best of it. On the way back to the agency I have a long chat with a mate who is a leading political columnist on what is happening at the Tory conference. Tuesday evening is a late shift. A massive presentation the following day to a major client for their global campaign next year – which has some 15 people or so work until the early hours, fuelled by Uber Eats. Pitches are where it all comes together in our business - where problem identification turns into strategy which becomes creative work to solve the client’s business problem. Addictive but knackering. To the gym for high intensity training. It’s painful but the happiness hormone kicks in as soon as I finish. Hotfoot it to the agency Zone (recent recipient of BIMA’s digital agency of the year) where I serve on their Advisory Board. Three former agency chiefs, three clients and the agency’s management team. Every meeting centres around a big topic, which we all receive in advance and are required to come and talk about. It’s a mental workout for their executive team – as they get to test their ideas and have their assumptions challenged. The format is the brainchild of chairman James Freedman who sits back and largely enjoys the debate. Arrive late morning in the agency’s reception dominated by stationary bikes and blaring music in aid of the NABS Ride Adland event. We appear to be going at a fraction of the speed of Bartle Bogle Hegarty. I console myself that they employ Lawrence Dallaglio who could probably do the race single handedly. Lunch is with a headhunter who recruited a star player for us a few months back – no agenda, other than his desire to recruit some more. I’m always up for discussing talent. Then, the afternoon is dominated by a creative presentation involving several clients in different cities. I’d much prefer to be doing it in person, but screen share technology at least gives us the chance to control the visual flow. After a series of internal meetings I remember my wife is out this evening. I call home to ask if any of my kids know how to cook a burger. By the third "no" I head straight home to show them how it’s done. An evening of news, box sets and red wine follows. Go for an early run, shower and jump on a train. Read news headlines on Twitter. Breakfast is with Annette King at Ogilvy. She shows we me their wonderful new office with views over… my kids’ school. I think of burgers. We discuss kids, clients, talent and the thrill of the chase in new business. Back to the agency for calls, internal meetings and the rehearsal of an afternoon presentation. Lunch with Chris Duncan, chief marketing officer of News UK and fellow political junkie. We discuss party conferences, paywalls and who is winning in online journalism. Afternoon presentation to a client on how to win in the content wars. Then a prospect meeting with a fintech brand wanting to internationalise and seeking to understand how relevant their brand will be in the US. At the end of the day, head out to Soho to my favourite Chinese restaurant and to meet a former client who has now turned up as a client again – dinner followed by a gig at Ronnie Scott’s featuring drummer legend Steve Gadd (best known for the drum lick which starts Paul Simon's 50 Ways to Leave Your Lover). Love that place. Gym: kettlebells. Breakfast in a local cafe with my cousin who is a City trader of some repute – I find his job as bewildering as he finds mine, but as my only extended relative in the UK (both my parents were immigrants) it’s always heartening to see him. A morning at my home office – a dozen or so calls including one to the US chief marketing officer of Audible whose UK campaign we have just launched, and a strategy call with the Hilton marketing chief in Virginia. I get to the agency at 1pm, just in time to sit in on a planning meeting for Carlsberg for 2017. I am struck by the startling array of media we operate across as marketeers. Afternoon of one-to-one meetings with my senior team. Then, I have a meeting with the founder of our new experiential agency Hyperactive and Tony Spong of the AAR to discuss credentials. Finally, an end of day drink with someone keen to discuss an overseas venture. Then head home for the traditional Jewish Friday night meal – which I endeavour never to miss. When I reach home the phone goes off – 24 hour digital detox begins.